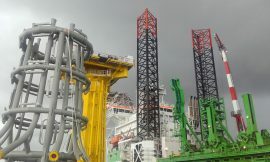 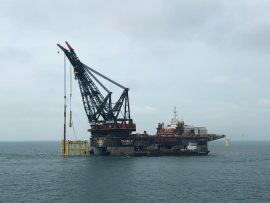 Heerema’s vessel Thialf has installed the jacket foundation for the EnBW Hohe See offshore substation (OSS) at the project site in the German North Sea. 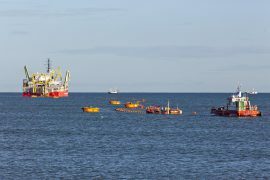 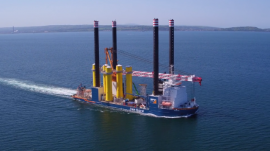 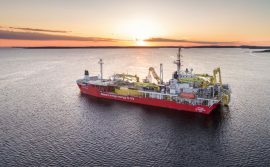 Nexans’ cable laying vessel Nexans Skagerrak has completed the laying and burial of the first 70-kilometer 220kV export cable which will connect the 588MW Beatrice offshore wind farm to the Scottish grid. 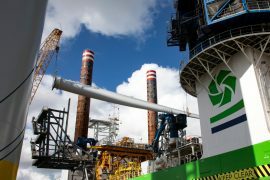 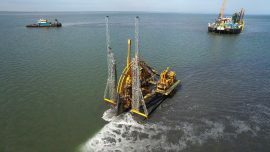 The foundation for the offshore substation (OSS) at Belgian Rentel offshore wind farm was installed at the project site last week, STX Europe Offshore Energy reported yesterday, 26 September. 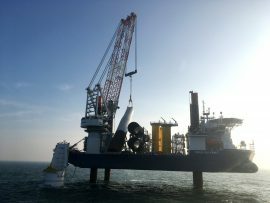 The last of 116 wind turbines at the Rampion offshore wind farm was installed today. 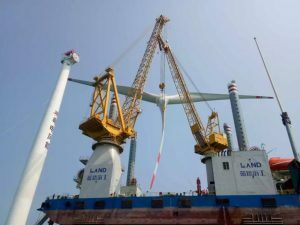 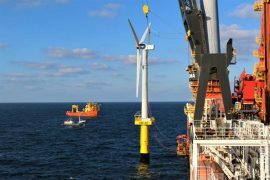 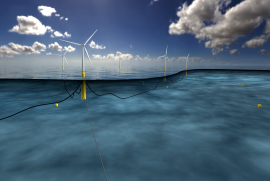 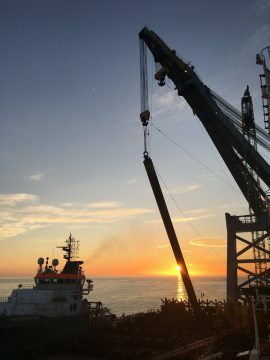 Jan De Nul Group has completed the installation and burial of the export cables for DONG Energy’s Race Bank offshore wind farm in the United Kingdom. 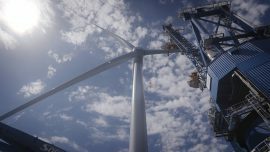 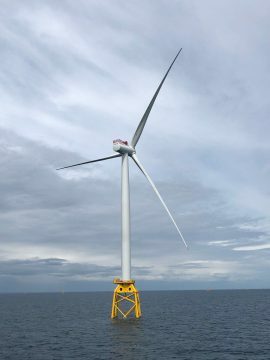 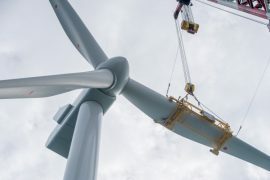 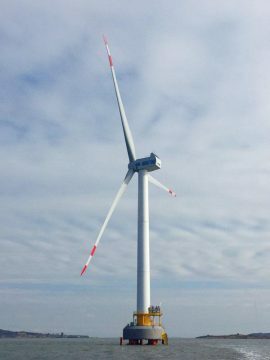 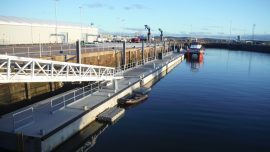 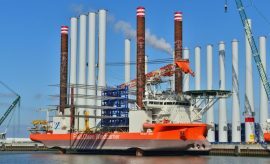 Dutch offshore construction specialist Van Oord has installed all 87 foundations at DONG Energy’s 659MW Walney Extension wind farm in the Irish Sea. 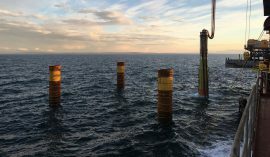 Half of the wind turbine foundation piles have been installed at the Beatrice offshore wind site, the developer informed via social media. 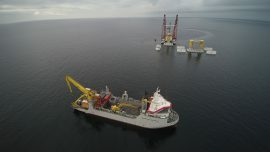 The piling is being carried out by Seaway Heavy Lifting (SHL) with their heavy lift vessel Stanislav Yudin. 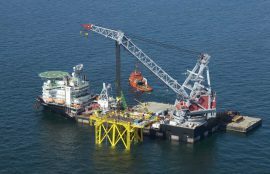 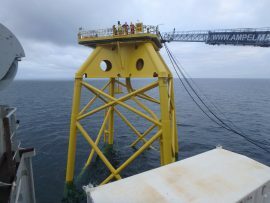 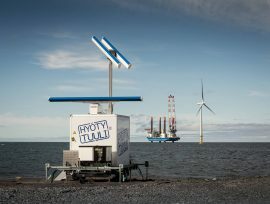 Jan De Nul has installed all ten gravity base foundations at the Tahkoluoto offshore wind farm off Pori, Finland, Suomen Hyötytuuli Oy, the developer of the 40MW project, told Offshore WIND. 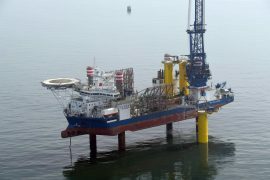 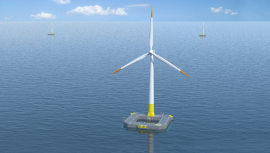 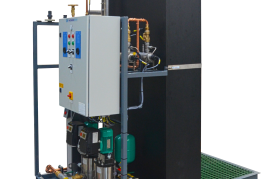 Dutch water technology company Hatenboer-Water has completed delivery of a customised fresh water system for a recently installed unmanned offshore platform on one of the wind farms in the German North Sea.